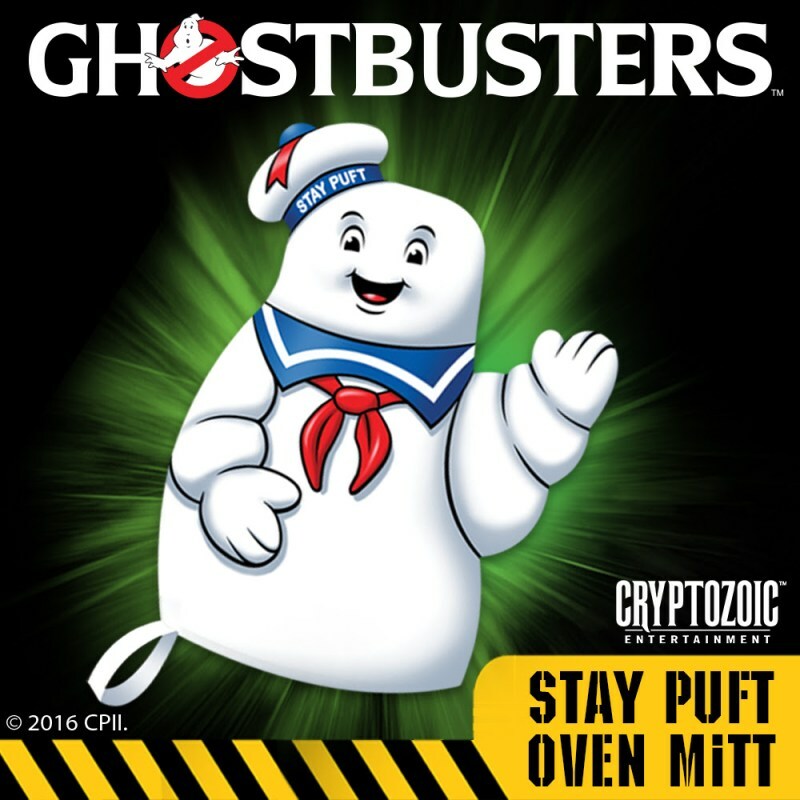 The Stay Puft Oven Mitt is inspired from the Ghostbusters franchise. It provides effective protection from burns in the kitchen, the mitt is one-size fits-all and machine washable, and has printed graphics on both sides. The suggested retail price is $14.99.